Those, like me, who enjoy having the occasional drissle of honey will undoubtedly come across an age old problem. 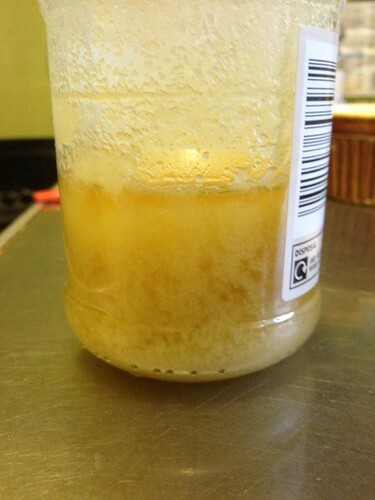 You wake up in the morning, open the cupboard and as if a witch has cursed your breakfast, your lovely runny honey has turned into a sugary, crystaline blob. Now up until recently, that was it. The crunchy, nasty blob wasn’t nice to eat on anything so regretfully, I would cut my losses and in the bin it went. Gone forever from this world. 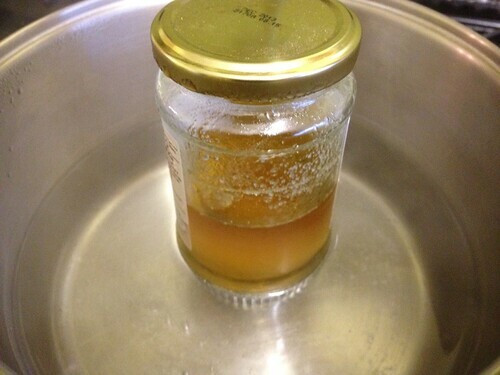 However, with the wonder of the internet, I have found out that using a bit of alchemy, your honey can be restored to it’s former glory! Hurrah! 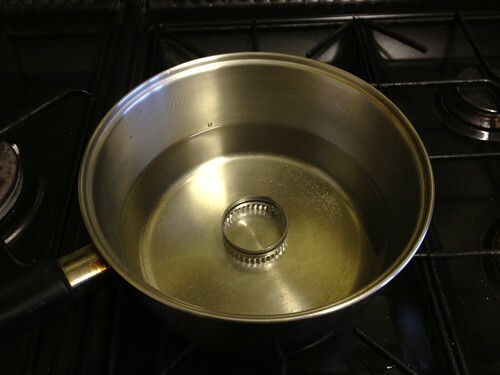 Place your crystallised honey onto the trivet and turn on the heat. 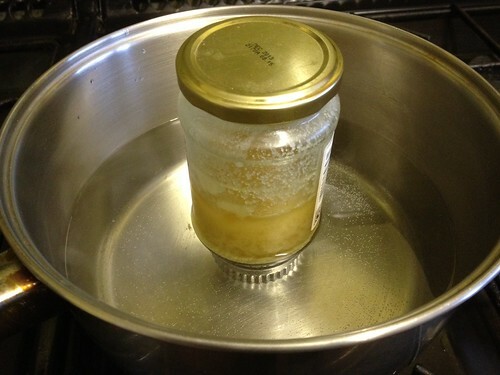 Allow the water to get to a simmering temperature and after 10 minutes or so, your honey will start to go runny once more. 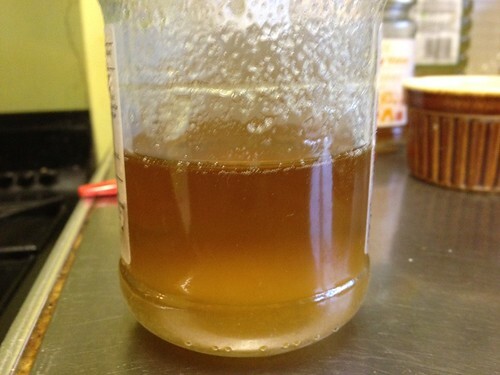 Try not to boil the water as you might remove the medicinal properties of the honey. Once all the crystals are gone, take off the heat and allow to cool.